Our founder, W.K. Kellogg, said: “Whatever success I have had in business has been a result of my good fortune in selecting employees who could do their jobs better than I could have done them myself.” More than a century later, we know that employees remain our most important resource. Our success today and tomorrow depends on them. Our Vision and Purpose are at the heart of everything we do. Simple yet powerful, they define why we're here and where we're going-made possible by the extraordinary talent of everyone who works here. People like you. Our heritage, through the inspiration of W.K. Kellogg, continues to drive our company and keeps us committed to creating a stronger future every day by putting people first in everything we do. We know that an inclusive workforce strengthens Kellogg, and that’s why we’re committed to ensuring diversity. We value building a great relationship with our employees – because we know that at Kellogg, goodness shines from the inside out. Come join us and be part of a phenomenal, industry respected field sales team and help us represent some of the biggest brands in the food industry. You will help us grow brand visibility on brands such as Pringles, Kellogg’s Corn Flakes and Crunchy Nut, whilst building your commercial skills in a company & environment that wants you to personally grow with us as you development in role. Ideally you’ll have an FMCG background, but it’s not essential – we’ll teach you all you need to know about the Kellogg way of selling and the categories we sell in. What is vital is attitude and behaviour. It’s about working smart: taking responsibility & accountability, challenging yourself, analyzing how you can improve and ensuring that every action you take builds towards our objective. You’ll be influencing customers, building business relationships and generating sales in our biggest accounts to help us all win. Work with our Field Sales Managers to grow your territory and retail sales value. 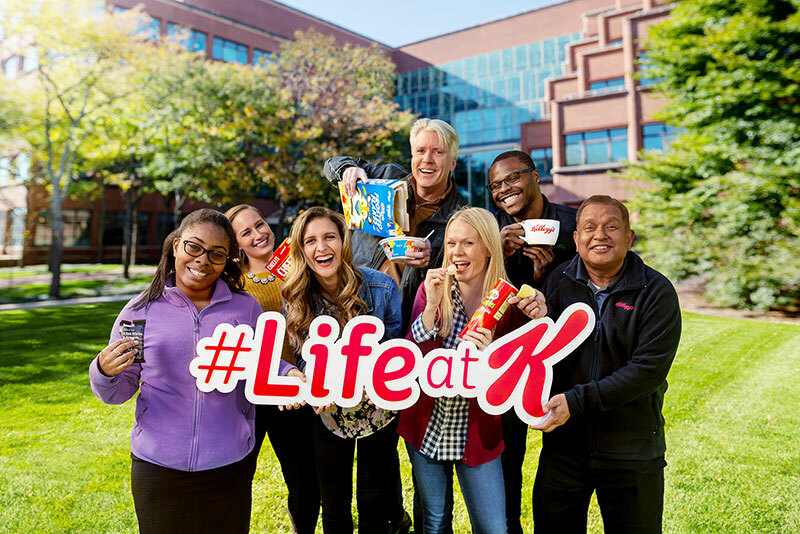 If you are bright, articulate, hard-working, a self-starter, interested by business and want to grow with Kellogg’s, we’d love to hear from you. If you have a degree that would be preferred but not essential. This role requires someone with an immense passion and enthusiasm to develop themselves and to grow with us whilst contributing to the growth of the Kellogg business. If you experience any difficulty when applying please contact myhr@kellogg.com. Please note that the closing date may be subject to change. We will interview suitable candidates as they apply, so please don’t hesitate to take this opportunity to submit your application as soon as possible. If you would like to be immediately notified of new Kellogg's opportunities, please go to ‘Create or access my profile’ and complete the information required in the ‘Job Alerts’ section. You will then receive email alerts as soon as new jobs are advertised.